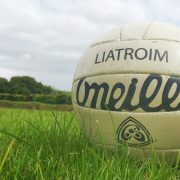 Having done the hard work in the first half in restricting a wind-aided St. Marys to just three points, Champions Oughteragh Gaels retained their Leitrim Under 21 Championship title with some ease last Saturday afternoon in a remarkably firm Pairc Sean Mac Diarmada. Inspired by Man of the Match Gavin Sammon, the Aughnasheelin and Ballinamore Sean OHeslins combination exuded too much class for a St. Marys outfit that started brightly but could not maintain their tempo in the face of a hard working and hungry Oughteragh Gaels. With many doubting that the Final would go ahead on Saturday morning due to the deluge that hit the county last week, it was a remarkable testament to the work undertaken in Pairc Sean that the County ground was in such fantastic condition last Saturday for the Final. Gavin Sammons flair in attack was a crucial factor in Oughteraghs victory but more important was the incredible work-rate demonstrated by all their players throughout the field – their swarm defence meant that apart from an initial bright burst, St. Marys never got the sort of room they needed to cause any damage. That pressure started in the forward where all six attackers harried and hassled the Carrick men trying to bring the ball out of defence so much that they were never able to pick out their passes or had the sort of time on the ball that they needed. That was particularly noticeable in the first half where, despite playing against the wind, Oughteragh actually had, by far, the greater tally of wides as they camped in the Marys half for the last ten minutes of the first period. With such a wall in front of them, a disconsolate St. Marys must have known that the writing was on the wall as they were unable to build up any sort of lead despite having the strong wind at their backs. And within 11 minutes of the second half, Oughteragh had used that self same wind to build up an impregnable four point lead. Gavin Sammon rightly took the plaudits but there were plenty of other heroes on the day – Shane Morans impressive strength and direct running through the centre of the park was something that St. Marys had no answer while the movement and hard work of Shane Murphy and DamienÓgilheaney was another great asset. At midfield, Wayne McKeon had a quite first half but drove his team on during the second half, providing much of the forward impetus of his team. Fergal McManuss hard work and non-stop running was another big plus for Oughteragh Gaels. A tight and very disciplined Oughteragh defence never allowed St. Marys the sort of room they so desperately needed to score with Sean McWeeney, Matthew Murphy, David Leydon and Jim McTague standing out. For a disappointing St. Marys, there were few positives – William Guckian did well inÓgoal while Ray Mulvey, Nicholas McWeeney and Conor Guckian all had their moments. St. Marys looked to make an early statement of intent and did so when, just 39 seconds in, Nicholas McWeeneys clever pass found Alan Doherty in space and the corner-forward curled over a lovely point. St.Marys were pushing hard early on but not creating chances. Indeed, at the other end, Oughteragh Gaels were making progress and after a Shane Moran shot was caught by keeper Conor Guckian, DamienÓgilheaney drew the sides level when he converted a free after a Ronan Kennedy foul on six minutes. Three minutes later, and a wide from Fergal McManus, the champions went in front when a lovely move down the centre ended with Shane Murphy firing over, although a pass inside may have released an unmarked team-mate for a score. Marys replied instantly when a long ball out of defence found Ray Mulvey in space and he hammered a 55-yard free over the bar, just sneaking inside the post. But despite playing against the wind, it was Oughteragh who were creating the chances but not converting as Shane Moran and Shane Murphy both hit wides. It proved costly on 19 minutes when Liam McTiernan and Alan Doherty combined in a lovely move to set up Donal Butler for an excellent point. 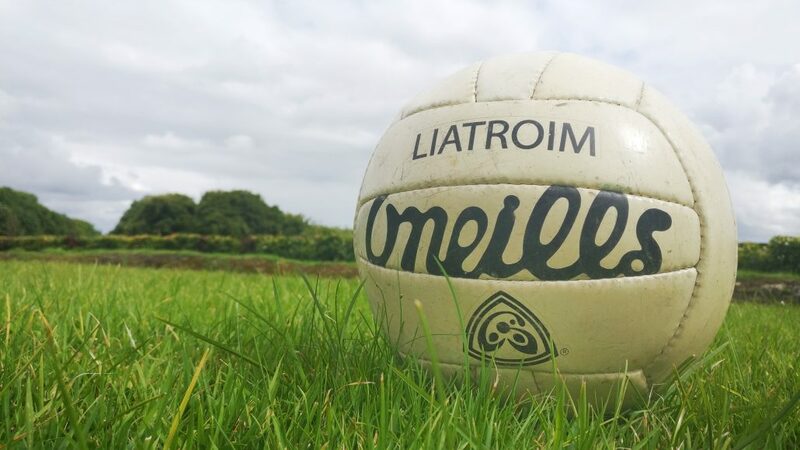 Incredibly, the town team were not to score for another 40 minutes as the intense work-rate of the Oughteragh Gaels players soon began to stifle their free-flowing style. Brian Farrell and Wayne McKeon traded wides in the following minutes while Shane McWeeney was also off-target but another Gilheaney free in the last minute of normal time ensured that Oughteragh Gaels would go into the halftime break level at 0-3 apiece. It could have been even better for the champions only that Marys keeper William Guckian cleared a dangerous ball ahead of an in-running opponent. But there was no denying the momentum was with Oughteragh Gaels as they would now have the strong wind behind them in the second half. St. Marys tried to give them something to worry about but Philip Farrelly easily held Donal Butlers hot while Shane Murphy hit a wide at the other end. Oughteragh took the lead again on two minutes when a foul on Moran saw Gilheaney convert after two minutes but worries started to eat at the Oughteragh supporters as their team missed two good chances from Wayne McKeon and Gilheaney. However, the tide turned whenÓgavin Sammon produced a wonderful pass to set up Brendan Mulvey for a brilliant point on seven minutes, a lead immediately extended when the kick-out was sent to Sammon in the right corner and he curled over a fabulous point. That suddenly opened up a three point gap and given the conditions, it looked like a match-winning lead, a feeling reinforced when David Tiernan was somewhat harshly punished when he slid in ahead of an Oughteragh player for the ball, was penalised and DamienÓgilheaney fired over the Marys bar. From the kick-out, the ball came to Gavin Sammon who played it forward but got it back and fired over a great point to stretch the lead to five points.Sammon also got a yellow two minutes later but Marys were finding it impossible to make any head-way against the non-stop harrying of the Oughteragh players. Oughteragh almost broke through for a goal on 19 minutes when Shane Morans long ball found DamienÓgilheaney with his back to goal with only William Guckian to beat. The Aughnasheelin man opted to turn and fire first time when he had plenty of time and space and Guckian stood firm, making a vital save. Lady luck turned onÓguckian within a minute – Gavin Sammon tried to a point with a shot from the right wing, some 20 yards out, but the ball fell short. Unfortunately for the Marys keeper, he seemed to get his feet caught up as the shot sailed over his head and into the net. That definitely sealed the game although it seemed to provoke St. Marys into their best spell of the second half although it didnt lead to many scores. Alan Doherty had a horrendous miss from a close range free while he also had a long range shot held by Philip Farrelly. Marys did manÓge to get a score when Dohertys quickly taken free allowed Ray Mulvey drive over his second point of the contest. They almost had a chance of a goal in injury time but David Tiernan shot wide to end the contest. Philip Farrelly, Paul Earley, David Leydon, Matthew Murphy, Joe McGirl, Sean McWeeney, Jim McTague, Fergal McManus, Wayne McKeon, Brendan Mulvey, Shane Moran, Gavin Sammon, Shane McWeeney, DamienÓgilheaney, Shane Murphy. Subs: Philip Murphy, Paddy McManus & Keith Boyle for McGirl, Earley & McWeeney (54 mins), Enda Quinn for M. Murphy (60 mins). William Guckian, Ruairi McLoughlin, Conor Guckian, Ronan Kennedy, Micheal McWeeney, David Tiernan, Fergal McLoughlin, Ray Mulvey (0-2), Conor McWeeney, Nicholas McWeeney, Liam McTiernan, Donal Butler (0-2), Brian Farrell, Daragh Singleton, Alan Doherty (0-1). Subs: John Healy for F. McLoughlin (39 mins), Conor Glancy for Singleton (52 mins).